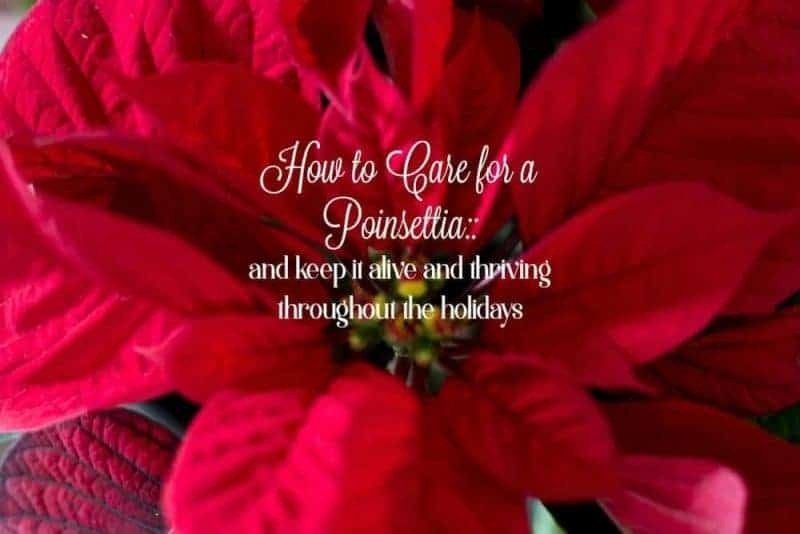 How to care for a poinsettia – tips for keeping your poinsettia alive and thriving throughout the holidays. Almost every year for Christmas I buy a poinsettia for the holidays. I usually try to wait until closer to Christmas so that it will stay alive and look vibrant throughout the holidays but this year, I purchased the one above for only $3.49 at Aldi and that’s the only reason I bought one so early…..because it was only $3.49. But, that being said, over the years I have learned some tips for keeping my poinsettias beautiful all the way through the New Year and in years past, I have kept them alive for several years in a row. 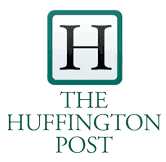 Choose a plant with dark green foliage throughout. No yellow, dry, or drooping leaves. Choose bracts that are completely colored. The bracts are what we consider the petals, the showy part of the plant and in the case of the one above, the red. These should be vibrant and healthy. Check the flowers to be sure they are green or red-tipped. If there is yellow pollen covering the flowers and/or bracts, the plant will not be holding it’s bloom much longer. The poinsettia should look full and healthy from all sides. I like to look straight down on mine to make sure it’s bursting with lush bracts. 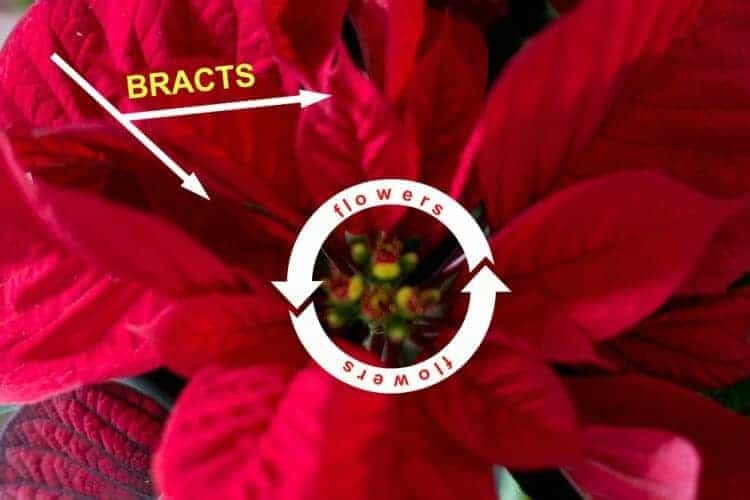 As a rule of thumb, the poinsettia should be 2 1/2 times taller than the diameter of the container. You don’t want a leggy poinsettia. 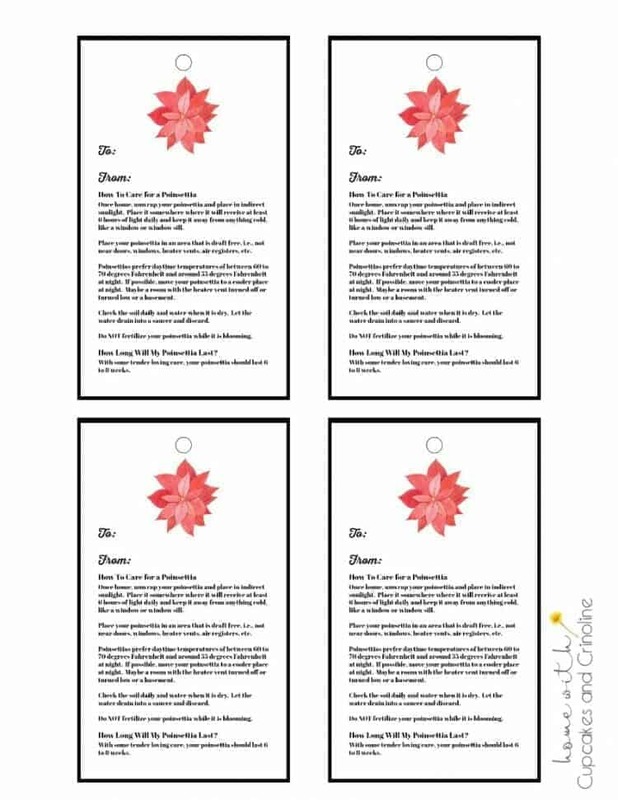 Once you choose your poinsettia, make sure that it is sleeved especially if outdoor temperatures are below 50 degrees Fahrenheit. 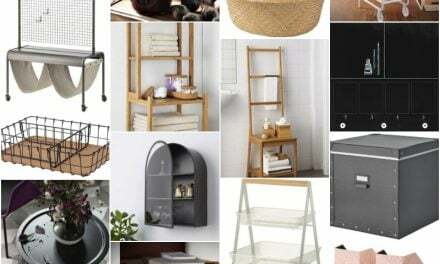 When I purchased mine, it was already covered with a clear plastic sleeve which I did gently pull down to check my plant before pulling it back up and purchasing. Once home, unwrap your poinsettia and place in indirect sunlight. 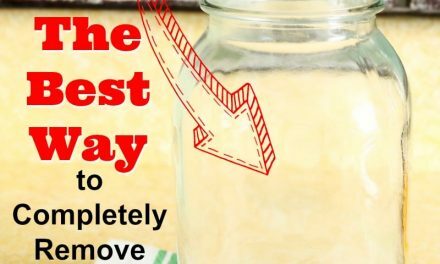 Place it somewhere where it will receive at least 6 hours of light daily and keep it away from anything cold, like a window or window sill. Place your poinsettia in an area that is draft free, i.e., not near doors, windows, heater vents, air registers, etc. Poinsettias prefer daytime temperatures of between 60 to 70 degrees Fahrenheit and around 55 degrees Fahrenheit at night. If possible, move your poinsettia to a cooler place at night. Maybe a room with the heater vent turned off or turned low or a basement. My basement is usually 10 degrees cooler at night than the upper level of my house so this is a good choice for me. Check the soil daily and water when it is dry. Let the water drain into a saucer and discard. 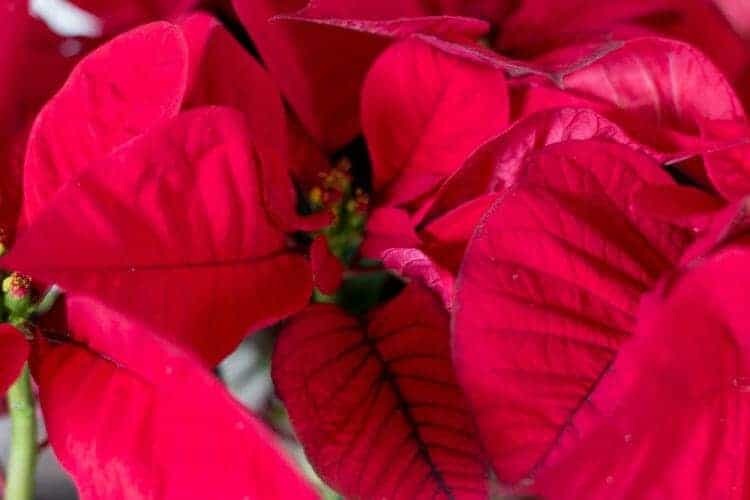 Do NOT fertilize your poinsettia while it is blooming. 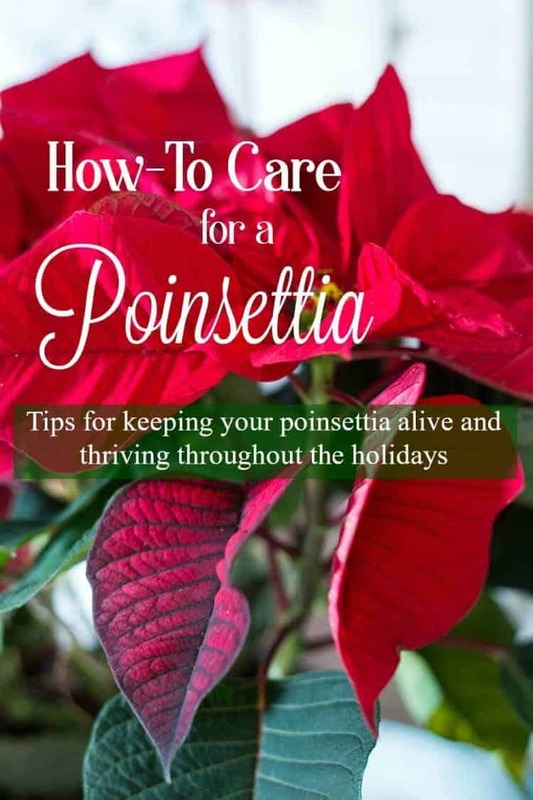 How Long Will Your Poinsettia Last? With some tender loving care, your poinsettia should last 6 to 8 weeks.